Exercising regularly while pregnant is necessary to promote healthy growth for both baby and mom. It can also make the labor phase more bearable, but many women are unable to do vigorous exercises and should avoid any contact sports that can harm the baby or themselves. While some exercises are not considered safe, walking while pregnancy is always an good option. 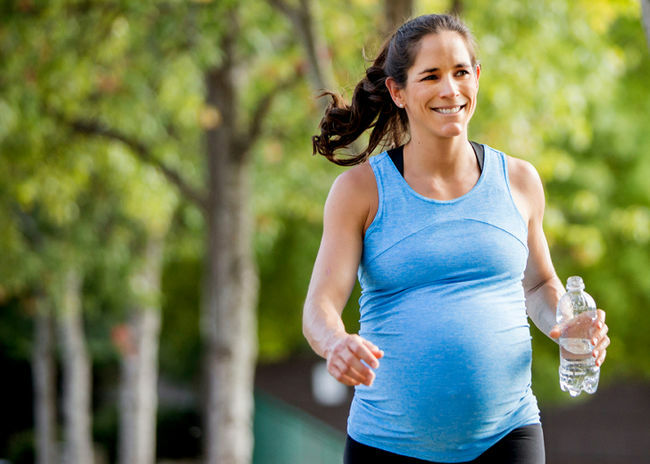 Walking while pregnant provides you with a full body workout that will keep you fit. Walking also contributes to improving your cardiovascular system, tone muscles and is low impact. Walking allows you to maintain a healthy weight which often results in your baby maintain a healthy weight as well. This will make the delivery phase happen in a more natural way and make it easier. Many women can develop gestational diabetes from high blood sugar levels. When this occurs, women are at a higher risk of preterm labor or that the baby will be obese when born. Walking can help keep body weight at a healthy level which reduces the risk of type 2 diabetes. High blood pressure and protein in urine can be an indication of pre-eclampsia which can cause serious complications during pregnancy, including premature labor. Pregnant women who incorporate walking into their daily routines can lower their cholesterol, which keeps the blood pressure balanced. One of the most common symptoms pregnant women suffer from is mood swings. Feelings of anxiety and depression can cause pregnant women to stress more which is not healthy for mom or baby. Walking is an easy way to help reduce stress and increase the release of endorphins. Walking during pregnancy can help boost your mood on days when women are feeling more down than usual. Keeping your body in shape while pregnant will often result in a more natural birth process. Walking keeps the muscles in the hips toned and can increase flexibility. Women who tend to walk in the morning often have less pain during delivery and the process goes by faster and more easily. Pregnancy can bring on a number of pains and more discomfort which can be worse for those who are not very active. Stretching the legs regularly can help reduce the pain and other discomforts brought on from being pregnant. Exercising can help pregnant women get a better night's sleep since it allows them to burn off any built up energy. Other ways walking can benefit pregnant women include fighting off fatigue, constipation, varicose veins, cramps and reducing the chance of suffering from morning sickness. To reap the full benefits of walking when you are pregnant you will want to walk for about 30 minutes five times a week. As you progress during your pregnancy it might be more difficult to stay active every day but any type of activity is better than no activity. Also, consider doing your pelvic floor exercises while you are doing your daily walks. If you were already active prior to being pregnant, you can simply continue walking while pregnancy as you did previously. If you are just starting to incorporate walking into your daily routine, then start off with short walks, about 15 minutes long for three days a week. Once you have become comfortable with these shorter walks, you can add on time to 30 minute and then add on more days. It is important to listen to your body when you begin a fitness routine. If you feel any pain or sickness, then slow down or stop. Time can be limited, so try including brief walks throughout your day. Walk for a little during your lunch break, go for a quick walk in the morning and after dinner, so you can stretch your legs regularly. Keep a bottle of water with you when you walk and on sunny days put on sunscreen and a hat. You don't want to dehydrate yourself as you walk since overheating or increasing your body temperature too much can be harmful to the baby. During the first trimester, you shouldn't have to make many adjustments when walking. You can increase the intensity of your walks as you become more comfortable. Start of walking every other day for about 20 minutes first and then increase your time every four weeks. Be sure to wear comfortable shoes that provide you the proper support. When you go for your walks, be sure to roll your feet from heel to toe. Walking during pregnancy may seem easier during your second trimester if you have already been walking throughout your first trimester. If you are just starting to walk during your second trimester, begin with just 10 minutes a day, four days a week. After a few weeks, increase your time by five minutes. It is important to not push yourself too much during your second trimester even if you have been walking regularly in the first trimester. Since you will be developing your baby bump at this time, it is important to walk with your back straight, eyes focus in front of you and head level. It is common for the hips and ankles to be achier since the way you are walking begins to change. Again, always listen to your body, if you can't carry on a conversation, then slow down. Continue to walk for as long as you can. During the third trimester, back pain and pelvic pain can be more common and your balance may be more off than usual. Avoid uneven walking paths and steep inclines; always slow down when you feel discomfort.